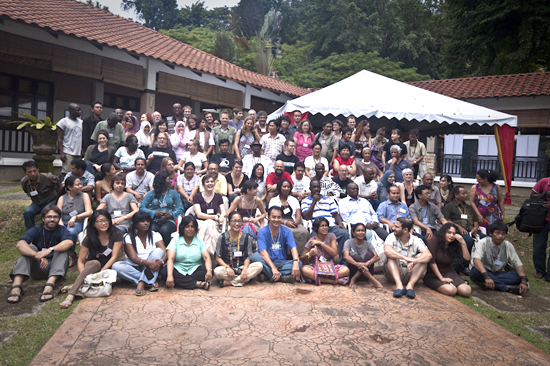 Gathering of Peoples on Forests, Biodiversity, Community Rights & Indigenous Peoples | "Ecological Equity: Sharing Stories, Reclaiming out Rights"
Organised By Friends of the Earth Asia Pacific and Hosted by Sahabat Alam Malaysia – Friends of the Earth Malaysia at Jerejak Rainforest Resort, Penang, Malaysia. Thanks to Rick for this lovely video of everyone at the pre-conference getting a group photo. There will be a lot more posted on the website in the next two weeks. We are still in Malaysia and internet is slow … so watch this space!